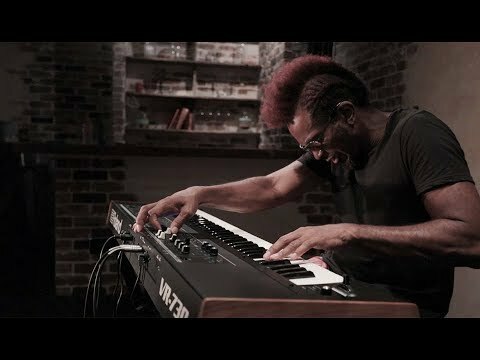 The Roland V-Combo VR-730 combines your electric piano, acoustic piano, organ and synth sounds all in one, giving you a great keyboard that .. 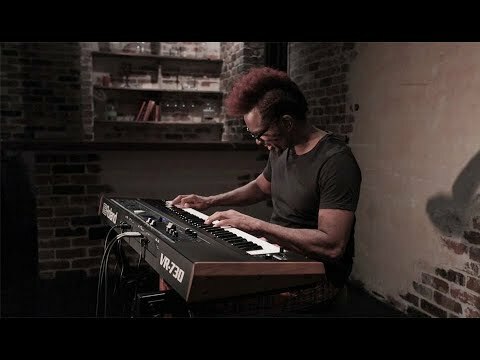 The Roland V-Combo VR-730 combines your electric piano, acoustic piano, organ and synth sounds all in one, giving you a great keyboard that was designed for live performance. Designed with live performance in mind, the V-Combo VR-730 allows you to take along your electric piano, acoustic piano, organ and synth to your next gig - all in one 73-note keyboard that's ready to hit the road when you are. Roland have kitted out the VR-730 with a 73-note waterfall keyboard with semi-weighted action, making it perfect for playing with traditional organ techniques such as trill, sputter and glissando. With a Quick Firing feature, you'll find playing fast passages, soft glissandos and percussive, attacking expressions very easy. With its semi-weighted action, Quick Firing feature and waterfall shape - the VR-730 just feels right from the moment you touch the keys and is perfect for piano players. Designed to be the perfect live performance keyboard, not only does the C-Combo VR-730 combine all your essential sounds, it's also very portable. 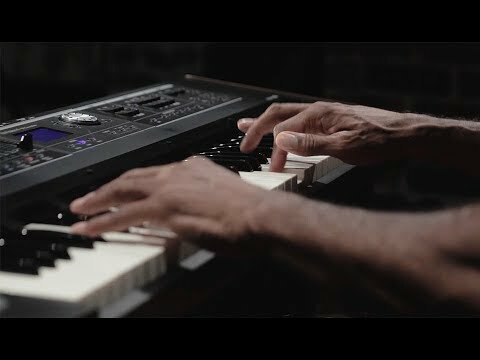 The modern musician needs to travel light and so, the Roland VR-730 gives you all the great sounds of an organ, piano, electric piano and synth all in one keyboard that weighs just 21lb. 1oz. Even better; it supports battery operation so you're prepared for outdoor gigs, weddings or whatever else the situation calls for. From the get-go, Roland have carefully designed the VR-730 with focus directly on the needs of live players. The front-panel layout is easy to read, smartly organised and has dedicated organ, piano and synth sound sections, to say nothing of the clear LCD screen which makes things even easier. In short, you get direct, instant access to all your essential sounds and real-time controls so you can always deliver an expressive performance. Dedicated knobs allow you to adjust multiple parameters at once so you can get awesome sound at lightning speed. Using Roland's cutting edge Virtual Tone Wheel Organ engine, the VR-730 is able to accurately reproduce the sound-generation of a real life tone wheel organ, right down to the smallest details. With three different, genre-oriented types of rotary effects, you can easily switch on the perfect rotary tone for the style of music you're playing, from gospel and jazz to pop and rock. Nine harmonic bars give you great tactile control and great effects allow you to change the feel. The Twin Rotary effect deepens your sound while the valve-style overdrive adds some edge and the ring modulator gives you a really aggressive sound. Classic piano sound is the anchor for most when performing live and so, Roland have designed the VR-730 to give you an assortment to choose from, covering all styles of music. A wide range of historic electric pianos are on board, with a selection from the RD-2000 while vintage effects such as tape delay, phaser, touch wah and tremolo allow you to further manipulate your sound. 88-note stereo multi-sampling provides incredible, professional level tone for that amazing acoustic grand piano sound. Really making sure you're covered no matter the genre you need to play, the VR-730 also provides fantastic synth sounds generated by the amazing SuperNATURAL sound engine. Covering vintage synths to more modern gear, you have over 200 sounds to play with that cover all sorts of styles and genres, from fat, analogue-style tones to strings and pads. Better yet; everything is sorted into dedicated categories such as Lead, Bass and Strings so you can easily access whatever sound you need. With its streamlined design and real wood side panels, the Roland VR-730 is great for live use - being very portable and emanating an authentic vintage vibe. All your favourite, essential sounds rolled into one easy to use, great sounding keyboard - what's not to love? Buy the Roland V-Combo VR-730 today and get an awesome keyboard that was made with you, the gigging musician, firmly in mind.